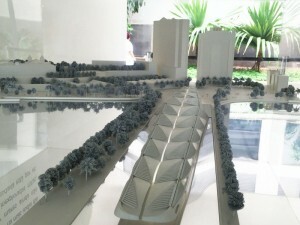 First images of Rio’s new Museum of Tomorrow! 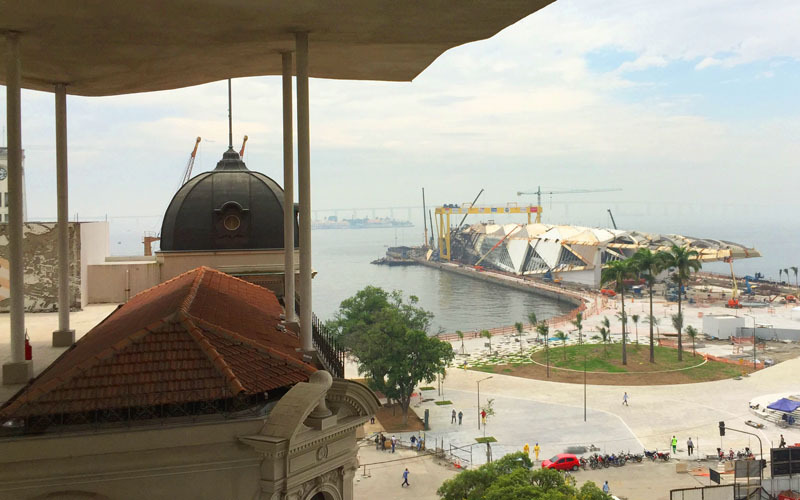 This week, Martin Frankengberg, one of our associates, saw the first concrete glimpse of the long anticipated Museum of Tomorrow, one of the cornerstones of the Porto Maravilha project - a comprehensive urban renewal of the Port Region, promoted by the city of Rio de Janeiro. Designed by the iconic Spanish architect Santiago Calatrava, the site was conceived as a next generation science museum, with a special focus to interactive installations and audiovisual displays to examine the past, present and future of Humanity. 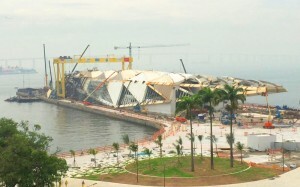 The museum is due to open sometime later during the year of 2015. “The pictures below were taken from my favourite museum um Rio, the MAR – Rio Art Museum – the first of the 3 major museums to have opened in the effort to revamp the city’s cultural offerings in time for the Olympics”.